In February 1967, three months before the release of their debut studio album, Are You Experienced, the Jimi Hendrix Experience took to the stage in a small club around 30 miles outside London. Luckily, someone captured the moment on film. The venue was the Chelmsford Corn Exchange (affectionately known as the Corn’ole by local mods). Although modestly sized, it wasn’t short of famous faces; that year alone, John Mayall & The Bluesbreakers, David Bowie, Peter Green’s Fleetwood Mac and Pink Floyd graced its stage. In the clip, which you can check out below, Hendrix performs Bob Dylan’s “Like a Rolling Stone” and his own “Stone Free,” the B-side to the 24-year-old guitarist’s U.K. debut single, “Hey Joe.” It also would appear on the Smash Hits compilation album the following year. The venue was packed. 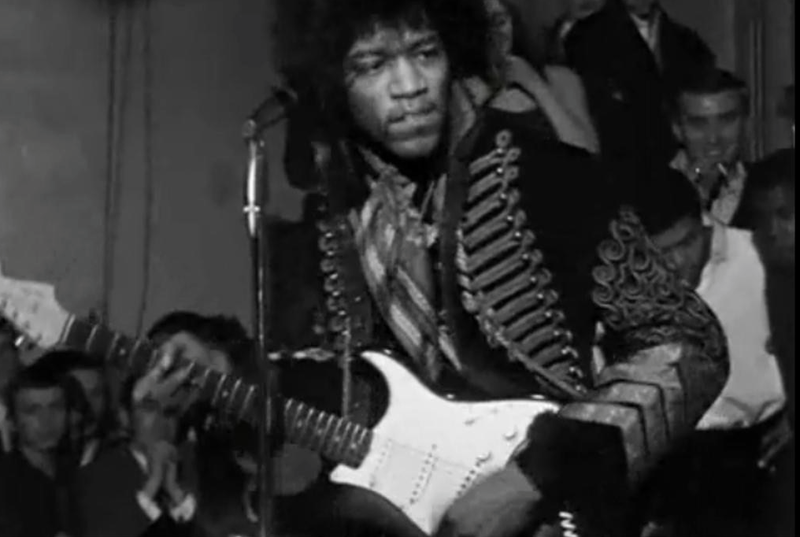 Jimi’s first single had been a U.K. top 10 hit the month before, and word was already getting around about his unique skills as a guitar player. This, along with the early buzz surrounding him, attracted many famous names that were rumored to have been in attendance that night. However, only Pete Townshend and John Entwistle of the Who can be seen on camera briefly, just to the right of the stage. Intercut with the live performance footage are some shots of Portobello Road, London. This is the location where Hendrix bought his now-iconic Hussars military jacket, which he happens to be wearing in the video.